So here’s the deal: I’ve been cleaning out my closet like my life depended on it (read all about it here), I kid you not. But then my life happened, lots of cool collabs happened and with the blink of an eye my carefully sorted wardrobe was filled with a whole bunch of great – but quite unnecessary – items. Not really a problem, I fully admit that I really enjoy this huge perk of being a blogger, but it doesn’t really do much for your tidy plans. A white Summer dress, one of those items that I think looks totally amazing on everyone, but I don’t own. Sandals. I’ve been on the hunt for nice, slightly chunky, but not too bulky, sandals for years, but I never seem to find the right pair. I’ve been spending quite some Summers on my Birks now, totally fine, but I want something slightly more stylish. A lower pair of block heels. Denim shorts, last year’s faves have gotten too big, time for a replacement. Tops. I need tops that can worn during summer: like camisoles, (printed?) blouses, flowy shirt.. Besides that there’s some items I think my wardrobe ‘needs’, like a replacement for my black skinnies, black/grey/white tees, the perfect striped top, classic pumps and a black structured blazer. Looks like I’ll always be on the hunt for the perfect basics, so I don’t necessarily need them now, I’ll focus on some pieces that will be a great addition to what I already have, which makes it easier for me to though out the things that I won’t be wearing that much anymore. Ah and those kicks? Also new. 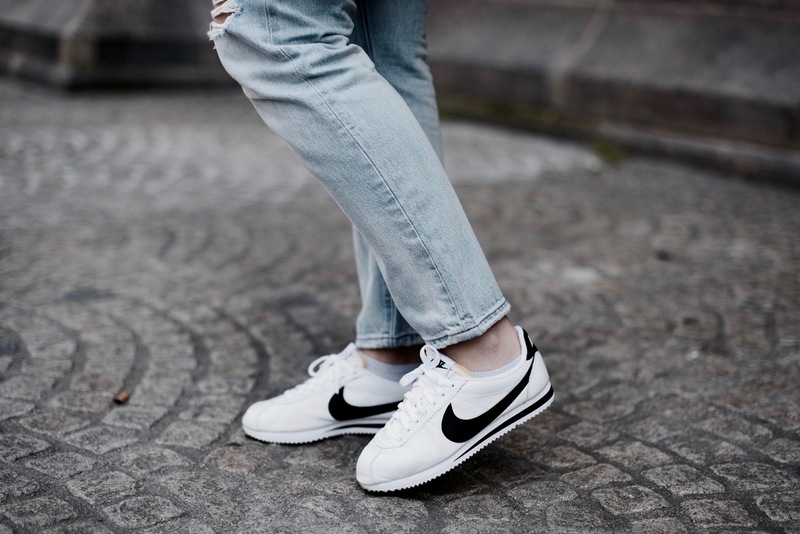 But plain, classic, Nike Cortez sneakers are always a good idea.. Full look will follow soon. Those kicks are so cool! I have exactly the same “problem” with summer staples, I’m much better in winter clothes (maybe because in Switzerland ‘summer’ is a rare Thing :-) )..